English 14. decembris, 2018. 23. decembris, 2018. Early in the year, the American financial crime watchdog FinCEN published a report alleging ABLV Bank, the third largest bank in Latvia, was guilty of severe violations, systematic facilitation of money laundering, and bribing of officials. The bank claimed that the report had been based on false facts expressed by Ilmārs Rimšēvičs, president of the Bank of Latvia, as retaliation for ABLV Bank refusing his lobbyists. Whether Rimšēvičs had in fact deceived the U.S. partners is being investigated currently by the Corruption Prevention and Combating Bureau (KNAB). America alleged that the bank was servicing dirty money. The names of clients are not being disclosed by the credit institution or by supervisory bodies. But the clients of ABLV Bank may be teased out by looking into donations to its charitable foundation. Hundreds of offshore companies have transferred money to it. The ABLV Charitable Foundation, which has recently been renamed Novum Riga, is one of the largest charities in Latvia. Over the years, it has purchased hearing aids for more than 400 children, funded camps, culture journalism and art events, paid for the education of offspring of the Zolitūde tragedy victims. The most ambitious programme of this fund is “Jaunā Rīga”. With its support, the Globe sculpture in Jūrmala was renovated, a children’s playground was created next to the Dome Cathedral in Old Riga, and a project by the Latvian Museum for Contemporary Art is currently underway. The museum was intended as a structure funded only by private philanthropists. An international competition has already selected a sketch by a world-famous architect. When ABLV Bank closed its business in spring, the charitable foundation was also suspended, even though it is an independent organisation. It has just resumed its operations. The ABLV Charitable Foundation grew year after year, to reach five million euros in revenues in 2017. The organisation does spend much less than that, so it held ten million in accounts and securities at the end of last year. Most of the money had been donated by ABLV Bank shareholders and their companies. In special Christmas events, money was also collected from others, as ABLV Bank clients were invited to donate. “Firstly, the foundation is an entity created by myself and Oļegs [Fiļs], and of course most of the funding over the span of 12 years was provided by the two of us, and by our companies. However, we were open to donations from other people as well. Nearly each year we would hold Christmas campaigns, publish announcements and disseminate information about our programme; the response was rather broad. Our Christmas activities helped us spread the word, not only on the foundation’s websites but also using the bank’s information channels. We encouraged donations and involvement from our clients,” Bernis explains. 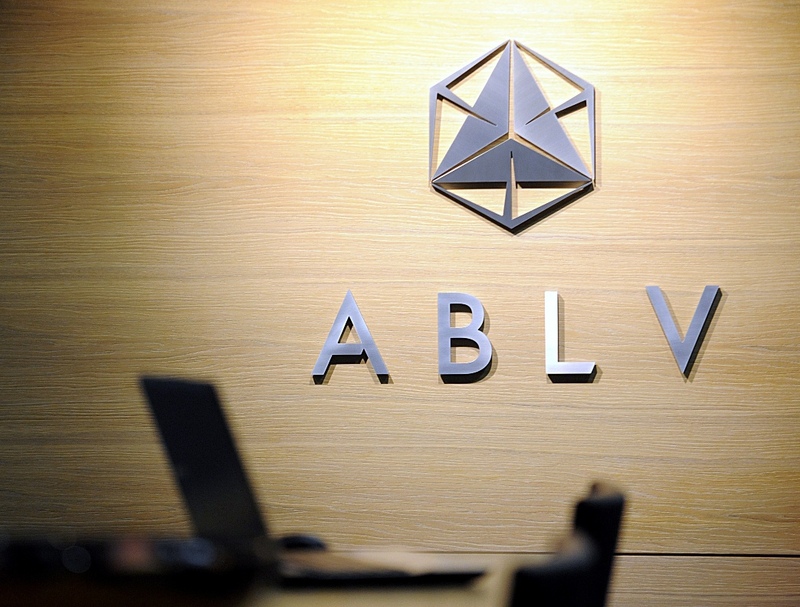 In five years, companies registered offshore transferred nearly three million euros to the ABLV Charitable Foundation. Two million were donated directly for the “Jaunā Rīga” programme, which has the establishment of a Museum for Contemporary Art as its main goal. The foundation received donations from entities registered in Panama, Cyprus, Belize, Britain, Hong Kong, British Virgin Islands, Seychelles and Marshall Islands. The ultimate owners of these entities are concealed. The number of donors totalled around 400 over the course of five years. This number includes a UAE-based company that implemented projects in Uzbekistan for Russian oil giant “Lukoil”. “Novo Construction Equipment” (FZE) –19 228.92 euros. A company registered in Belize that imports oil extraction equipment to Uzbekistan. “Verisa trading” – 19 228,92 euros. Many companies were founded by entities registered in the Marshalls and the Seychelles which Ukrainian investigators connect to oil tycoon Serhiy Kurchenko. His companies made up part of the syndicate of former Ukrainian president Victor Yanukovich. “Rionet Commercial LLP” – 55 350 euros. “Lordberg Energy Corp” – 19 195.7 euros. “Hornberg Solutions LLP” – 49 381.68 euros. “Soldmax LLP” – 42 528.94 euros. The report published by the U.S. Financial Crime Enforcement Network in February this year mentions Kurchenko as using the accounts of his nine shell companies that were held with ABLV Bank, funnelling billions of dollars that he had embezzled from the Ukraine as state assets. Another donor – “Primewall Intertrading LLP” – is involved in a money laundering case in the Ukraine. “Primewall Intertrading LLP” – 42 455.49 euros. The bank was also involved in the Moldovan scandal, stealing a billion dollars from the state. ABLV was fined three million euros for this violation. The foundation received donations from companies established by entities that were involved in the Moldova scandal. “Miller Alliance LLP” – 45 021.19 euros. “Pensberg Management” – 14 405.61 euros. There is no information on donors for the most part. They were registered by so-called offshore farms – offices that would establish companies in offshore areas, appointing officials unrelated to ultimate owners as the directors of these companies. This has made Riga residents Ēriks Vanagels and Stans Gorins international legends as nominal officials for thousands of companies worldwide. They are now joined by Ali Moulaye – a dentist living in Brussels. He admitted to foreign journalists that he had lived in Latvia, where he would consent to signing “many things at once” for friends. One of these offshore farms is “BBP Baltic” in Latvia. It registered “Bolgare Corporation” in Panama, which has also donated to the ABLV foundation – 46 298.25 euros. “I have no information about any of our donors being involved with things you mention. That’s number one. Number two, you need to look through the eyes of the law. According to current legislation, a foundation is not subject to anti-money laundering regulations. The foundation holds accounts with a number of banks. This means that each bank that remits donations to an account performs every action necessary by law in order to check for possible issues. If funds are in fact remitted, that means everything is fine. The foundation has been in existence for 12 years, and so far we have not received a single request from the authorities about any of the donations. The Financial and Capital Markets Commission believes that charitable foundations are clients with a high money laundering risk – which means banks should pay very close attention to the transactions of such organisations. However, the foundations themselves are not obliged to verify the origin of donations. Public good organisations, including the ABLV Bank foundation, are monitored by the State Revenue Service (VID). “This is our number one task – verifying that donations are allocated to a specific goal and according to the purpose for which they are made. If the VID establishes indicators of the risk that they might be proceeds of criminal activities, the VID informs the Money Laundering Prevention Service. For the VID, the main indicator of suspicion is whether a company has enough funds or revenues to make a donation. However, obtaining such data about offshore firms is very difficult. Bernis claims awareness of the people ultimately behind the foundation’s donors, including the source of the largest donation worth nearly half a million euros – “Alpine Universal LTD”. “I think I won’t reveal this because, firstly, the contract might prohibit public disclosure. Secondly, I and might say something that’s hard to believe, but in 12 years we have had thousands of donors and I can’t remember them all; I don’t have that obligation,” Bernis notes.